The Greenfield Housing Authority (GHA) is a public agency that provides a variety of safe and secure subsidized housing opportunities to qualified, low and moderate income individuals and families as well as the elderly and disabled. Currently GHA has 114 family housing units ranging from 2-5 bedrooms. Oak Courts is a family public housing development with 2 and 3 bedroom units. GHA has other various sized family housing units at scattered sites throughout the city that range from 2-5 bedrooms in a variety of housing stock from duplexes on Sullivan Lane, single family homes and individual condominium units at Briar Way. 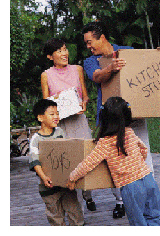 Family housing residents pay 27% of their adjusted gross household income for rent. Utility costs for heat, hot water and electricity are paid by the family. 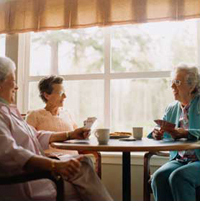 At Elm Terrace the GHA has subsidized housing opportunities for qualified elderly and disabled persons. Elm Terrace has 108 one bedroom units where residents currently pay 30% of the gross adjusted income toward rent. All utilities are included in the rent and all units have kitchens with stoves and refrigerators and full bathrooms. Elm Terrace has a community room with a full kitchen that serves a hot meal a 11:30 AM every weekday for a nominal fee. An active tenants association provides residents with a variety of activities throughout the year. For additional information or to request an application by mail, please feel free to contact us at (413) 774-2932 or to print a copy of the application click on the link below. 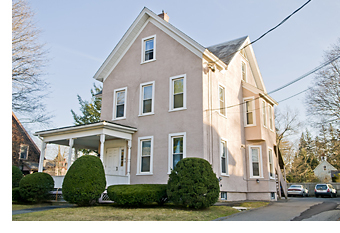 You may also visit us at 1 Elm Terrace, Greenfield, MA 01301 Monday – Friday 8:15 AM to 4:30 PM. The office is closed daily between 12:00 PM and 1:00 PM. Using this site, you will be able to apply for state-aided public housing and find any existing applications you may have. Moving forward, as your address changes or other information on your application changes, you will only need to update information at this site. All of your changes will be recorded at the housing authorities where you have applied. If you have questions, please ask staff at your local housing authority to help you. Applications can also be picked up at the Greenfield Housing Authority office during normal business hours.